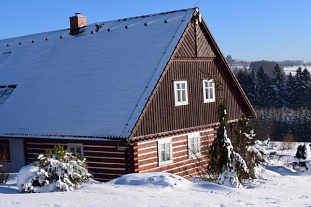 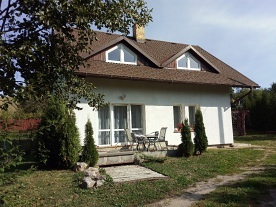 Cottage "U Pažourků" - Sudin - Dobruska. 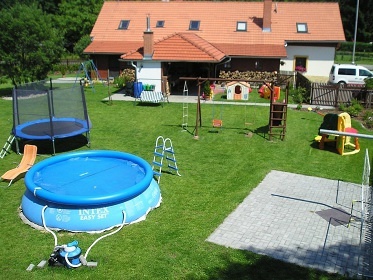 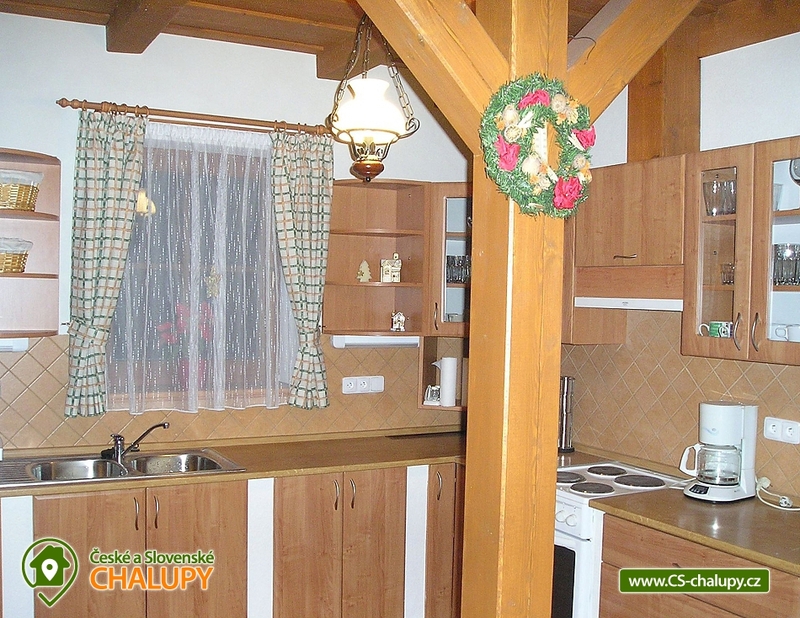 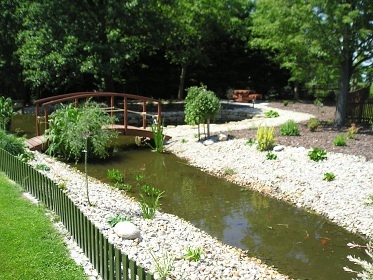 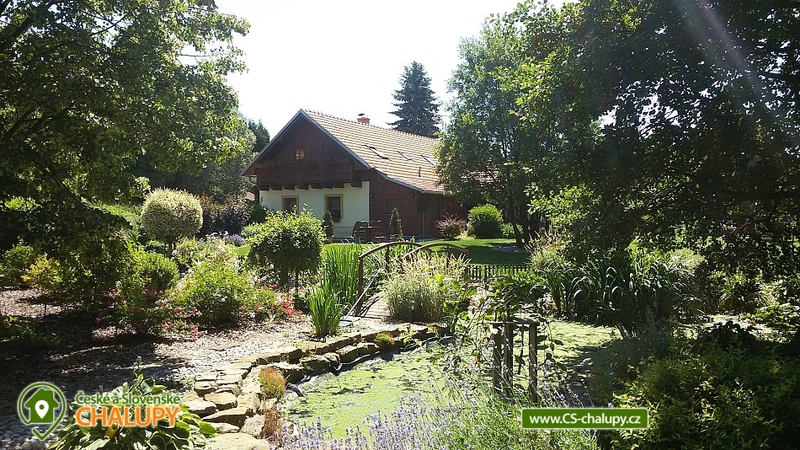 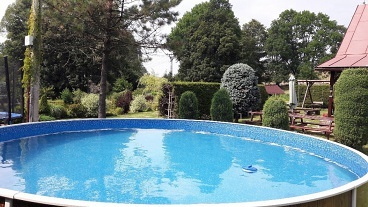 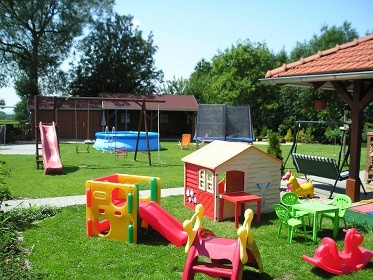 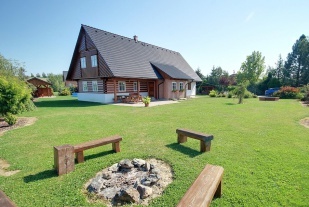 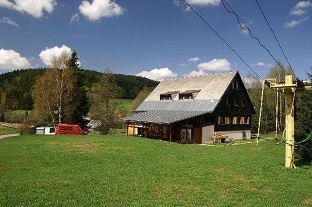 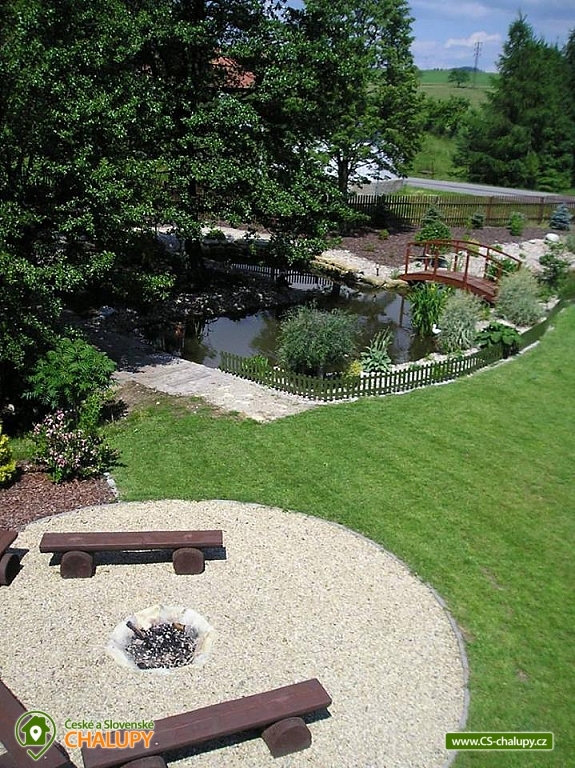 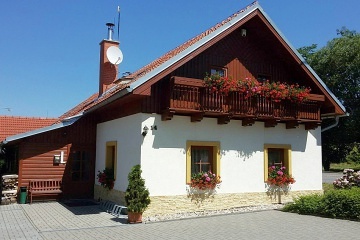 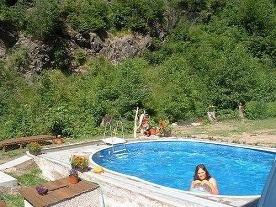 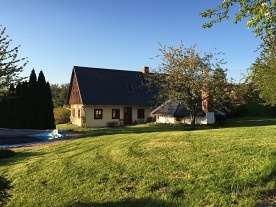 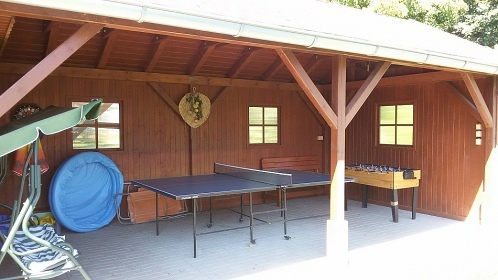 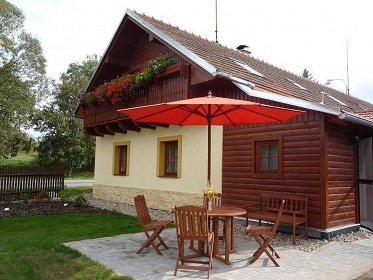 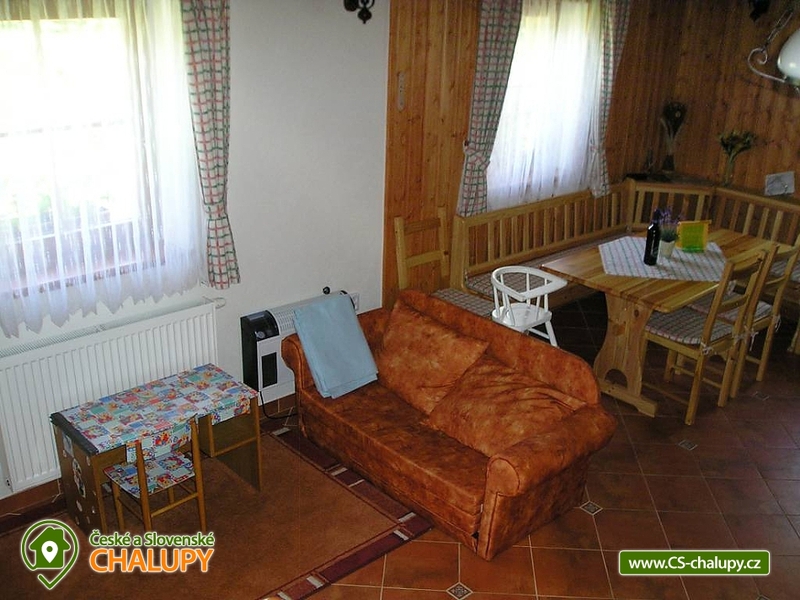 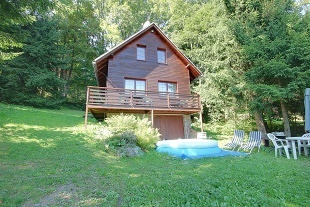 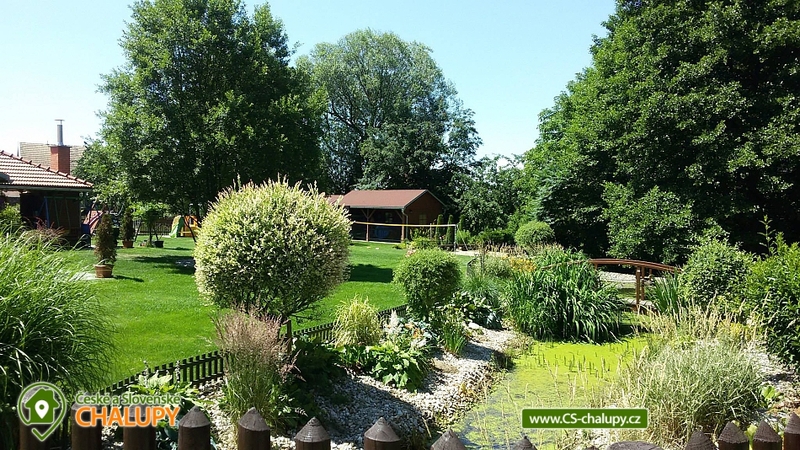 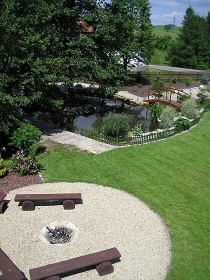 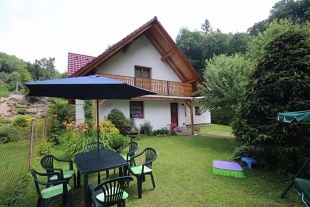 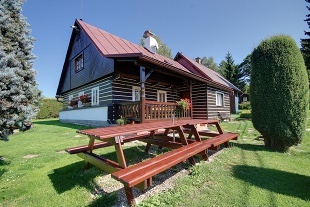 Rent cottages with swimming pool and sauna village Sudin - Bačetin u Dobruška, accommodation district Rychnov nad Kněžnou. 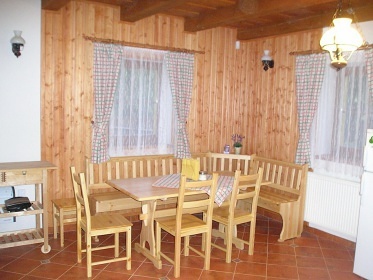 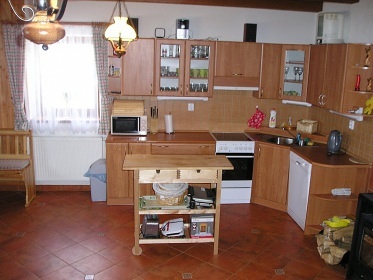 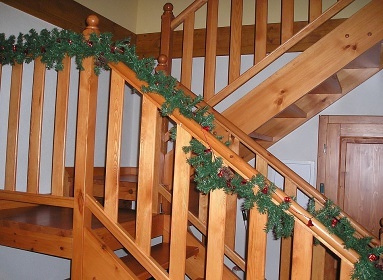 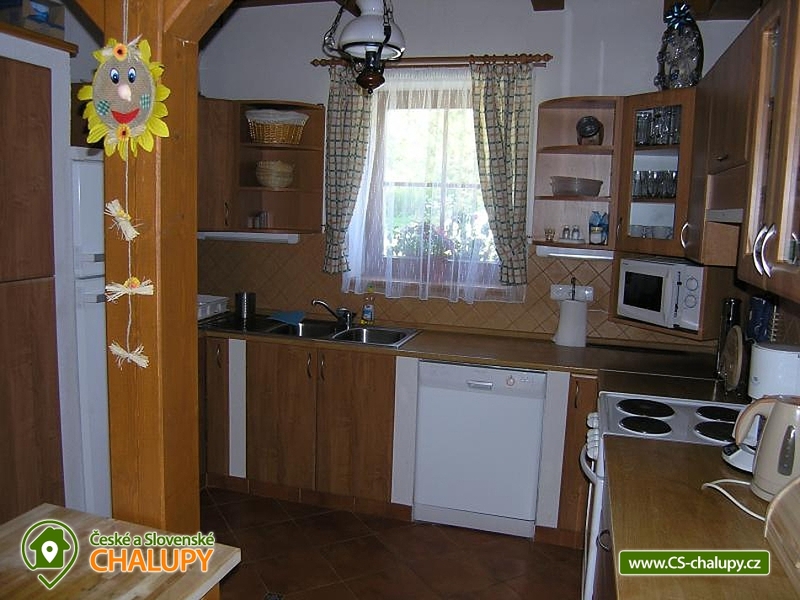 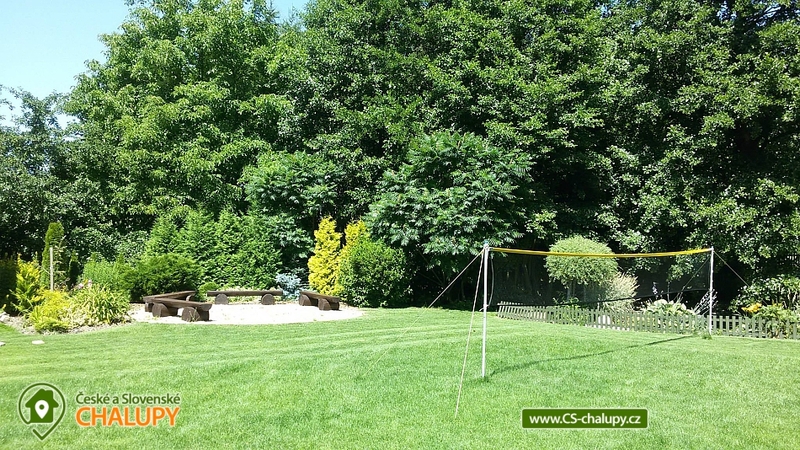 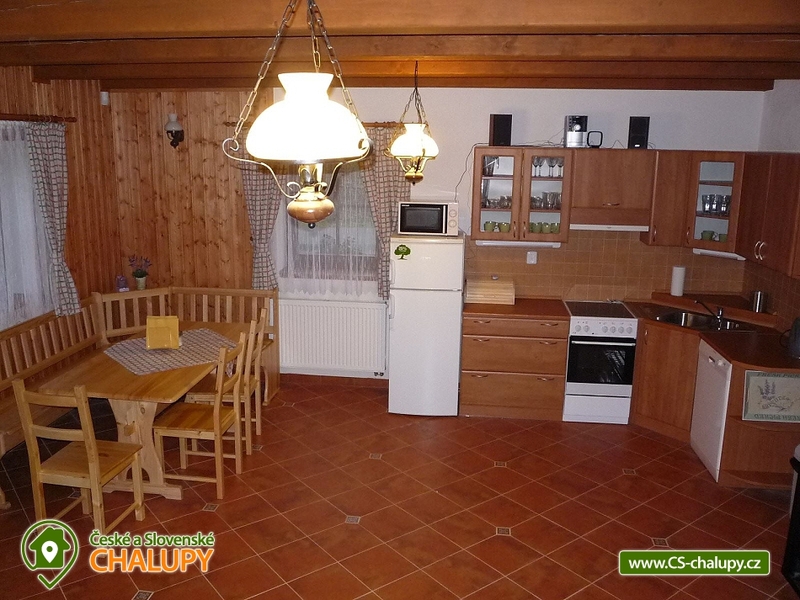 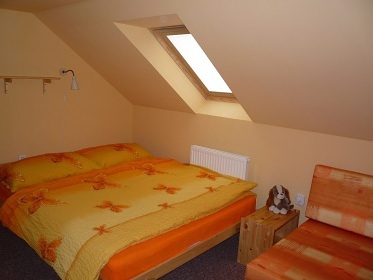 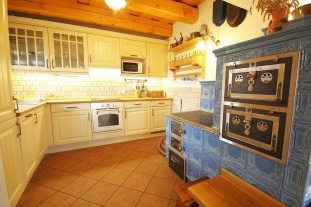 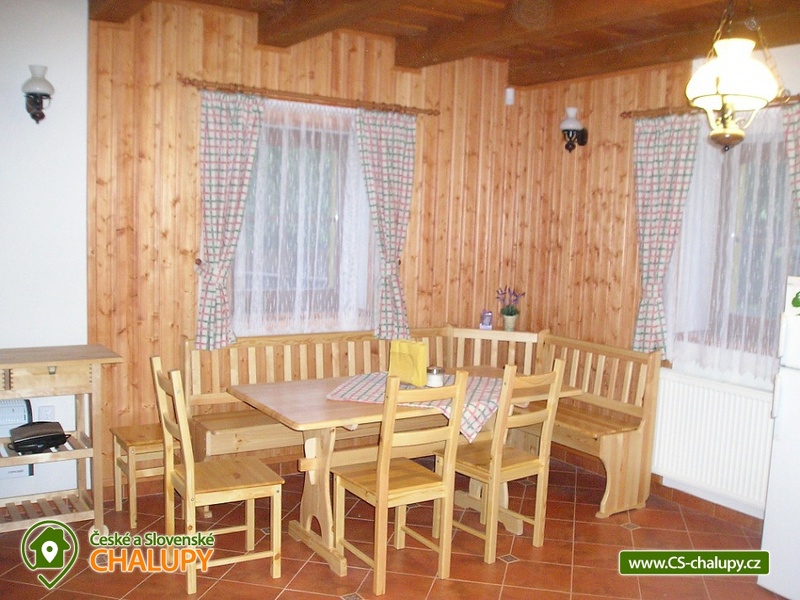 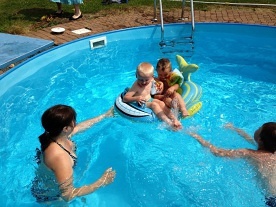 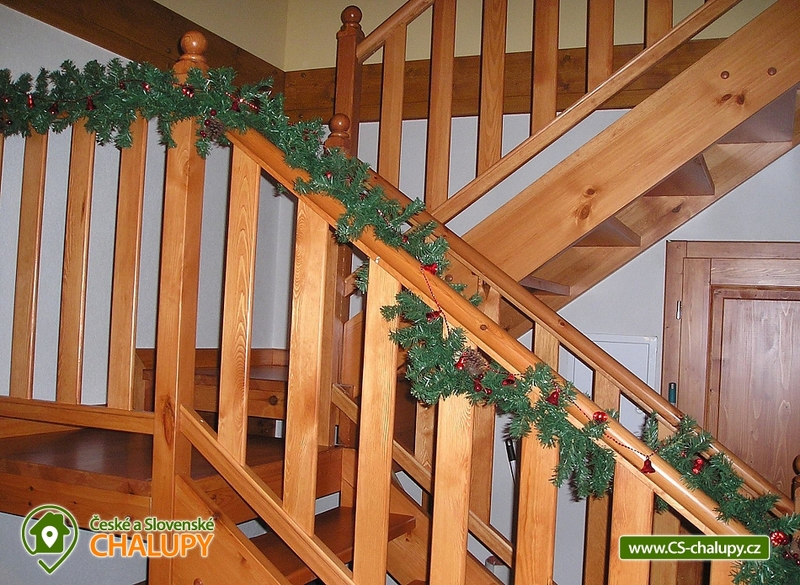 The cottage for rent provides accommodation for 2 to 20 people in 2 apartments. 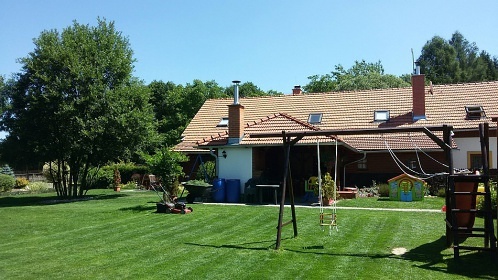 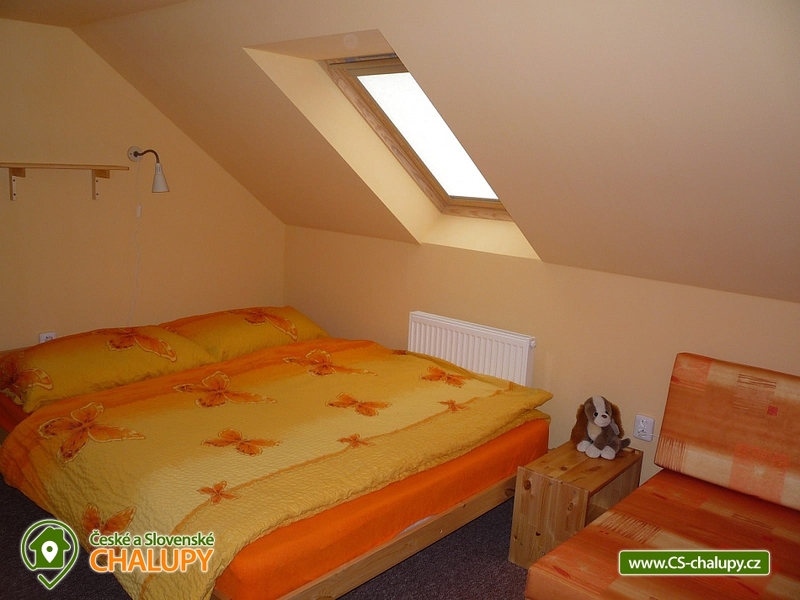 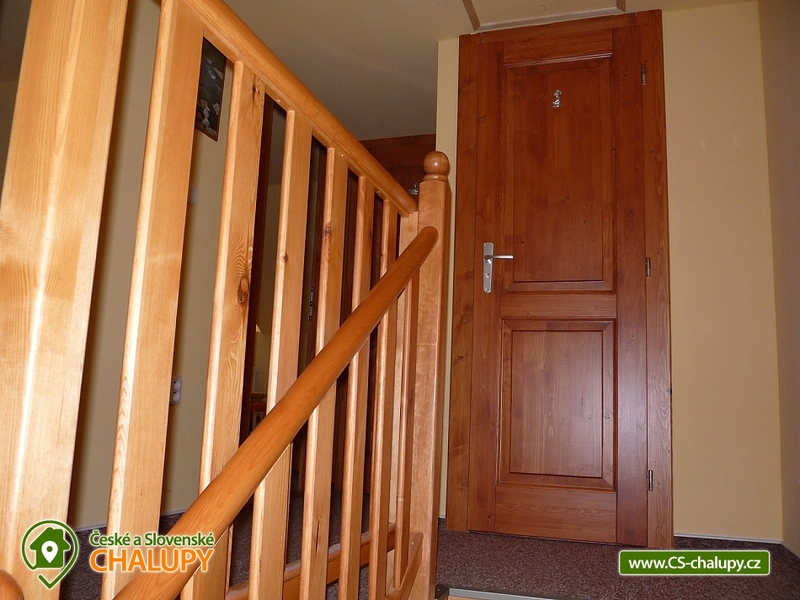 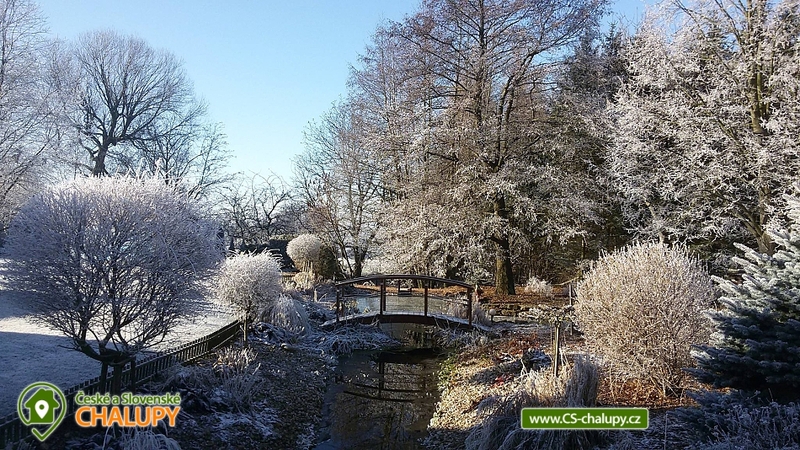 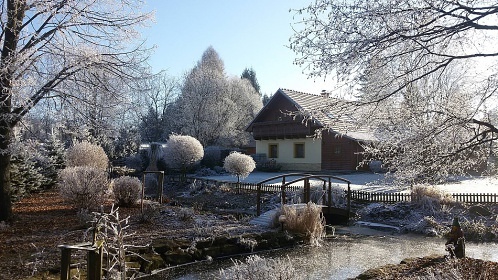 We invite you to renovated spacious holiday cottages in the beautiful foothills of the Orlické Mountains in the village of Sudin near Bačetín. 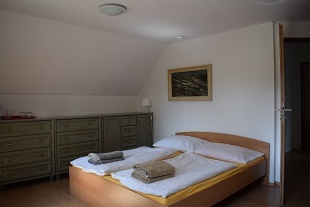 Accommodation is provided for you in 2 comfortable suites. 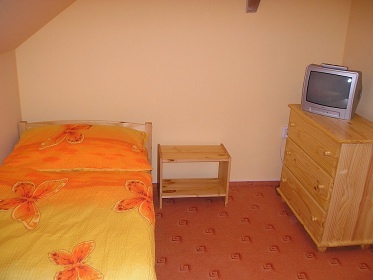 Apartment No. 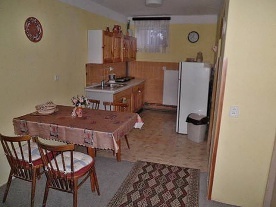 1 is for 5 - 6 people, Apartment No. 2 is for 10 - 14 people. 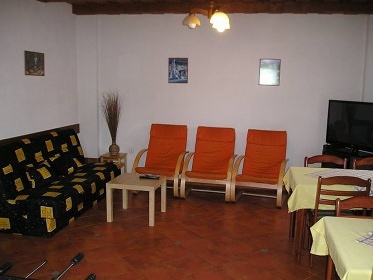 Both apartments can be connected to a larger friendship company or for smaller corporate events, celebrations. 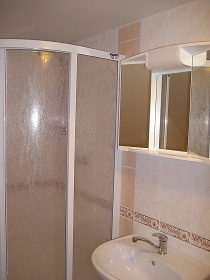 Each apartment has its own entrance and privacy. 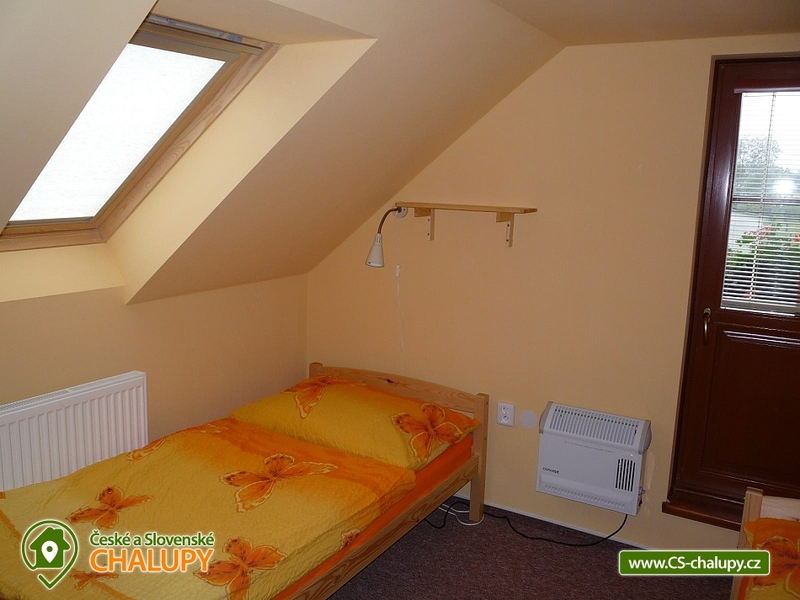 Description: Apartment No. 1: 1x bedroom - 1x double bed + 1x bed, entrance to the balcony, 1x bedroom - 2 x bed, entrance to the balcony. 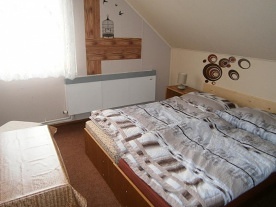 In total there is 1: 5 fixed beds + 1 extra bed. 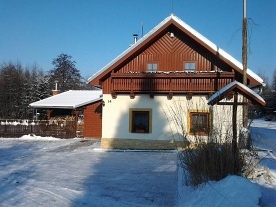 Apartment No. 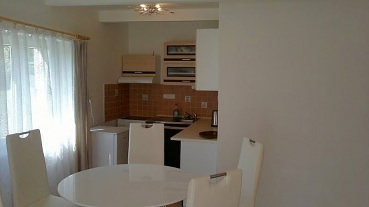 2 - 2 bedrooms - 1 double bed, 1 bed, entrance to the balcony, 2 bedrooms - 2 beds, entrance to the balcony. In total there is apartment 2: 10 beds + 4 extra beds. 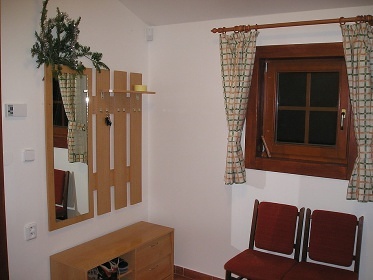 Social facilities: Apartment No. 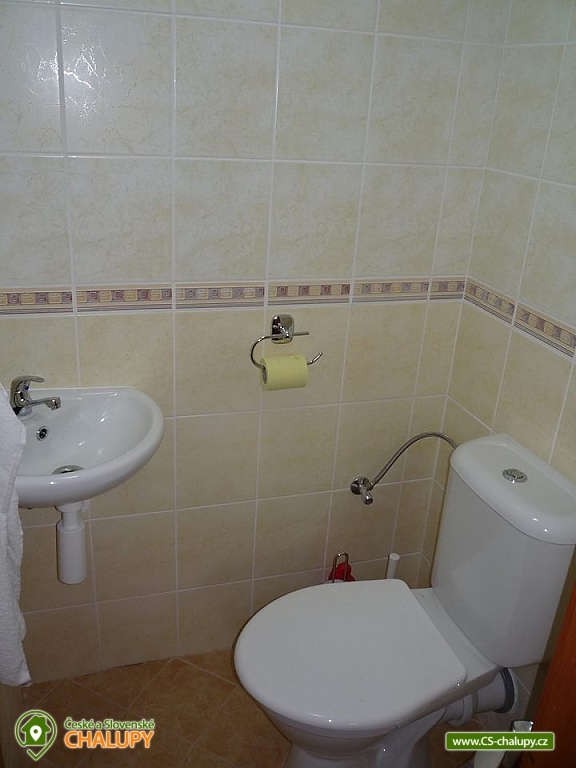 1: 1 x fully equipped bathroom with shower + 2xWC. 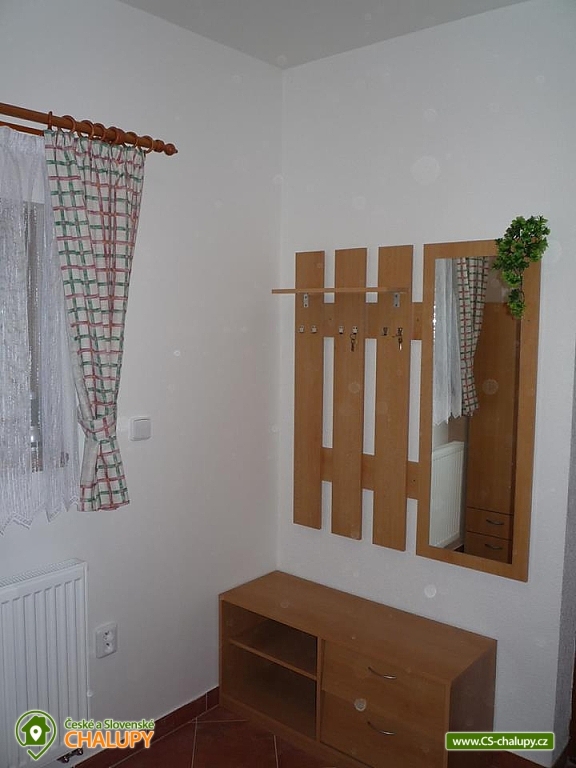 Apartment No. 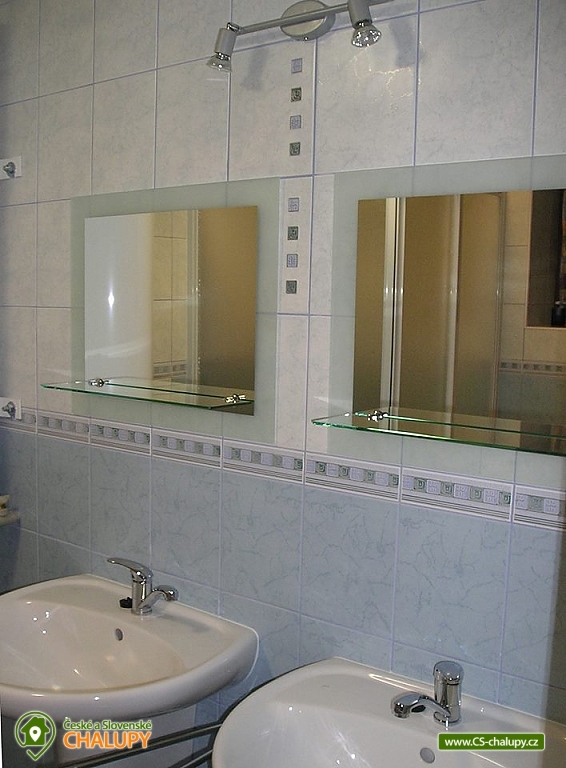 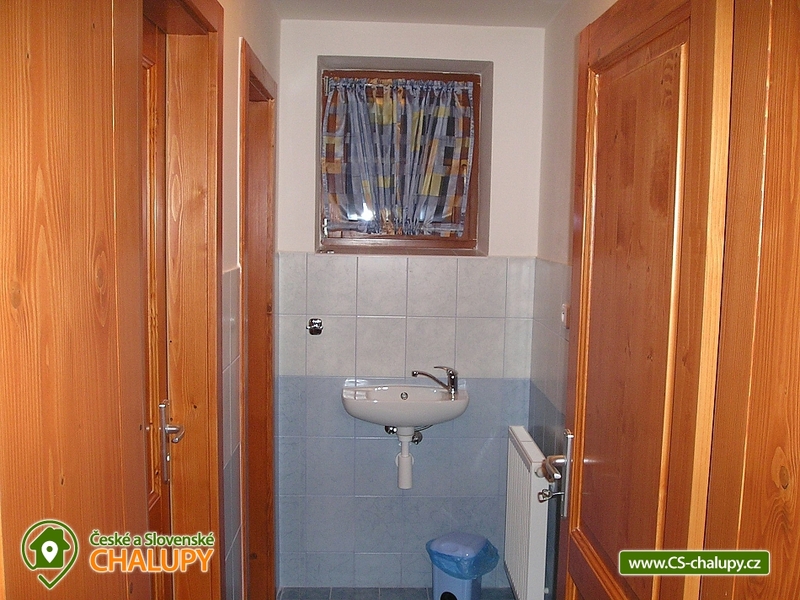 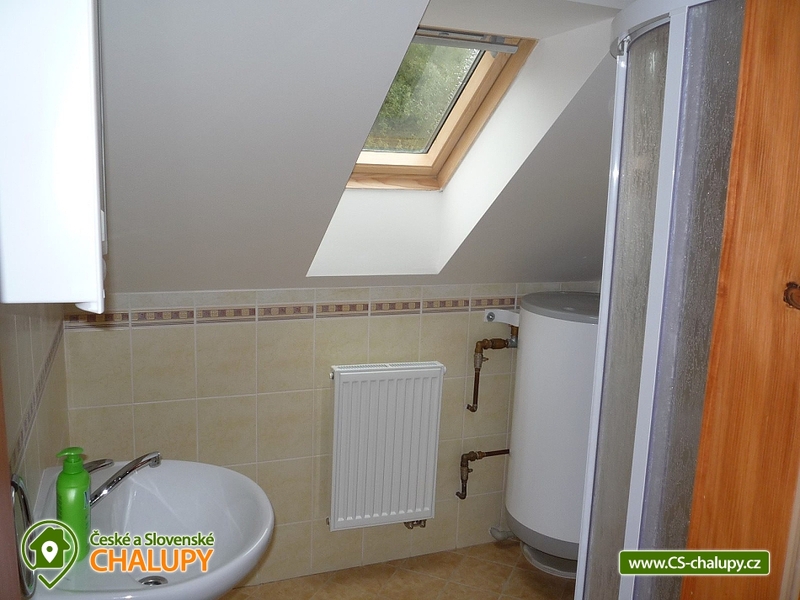 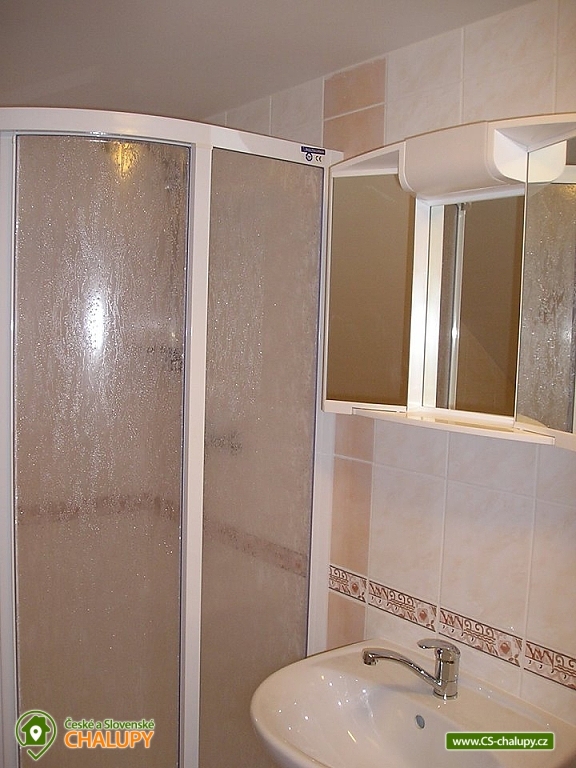 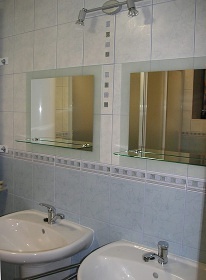 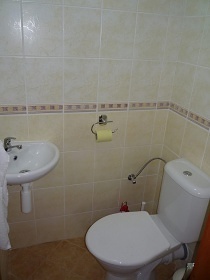 2: 2x fully equipped bathroom with shower + 3 toilets. 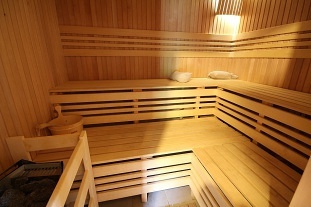 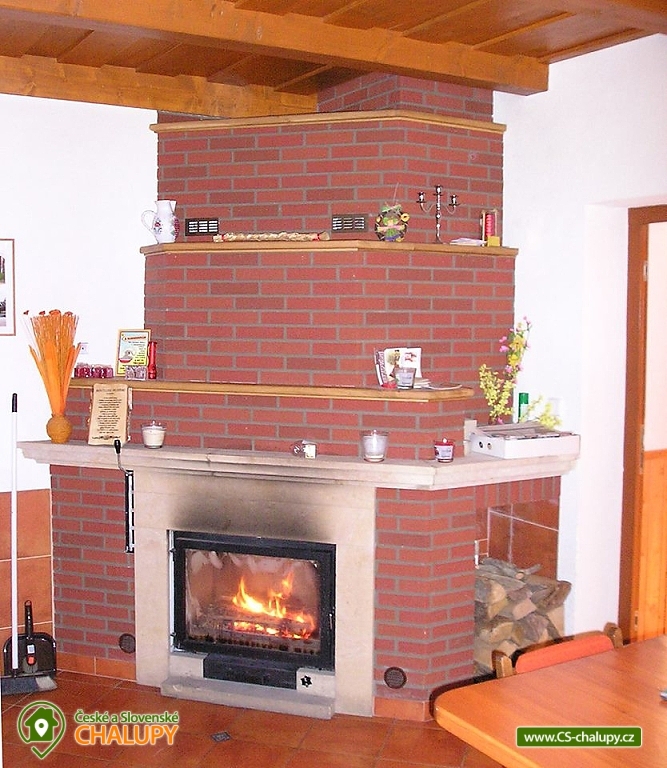 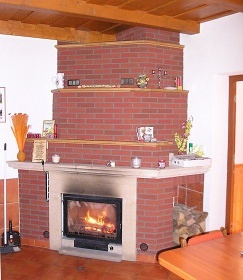 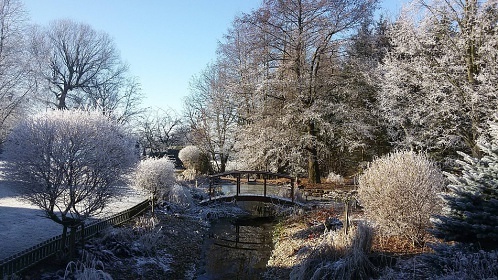 Heating: The entire building is heated by fireplaces or electric heaters. Cottage equipment: Apartment No. 1: An entrance hall with storage closets is in the apartment. 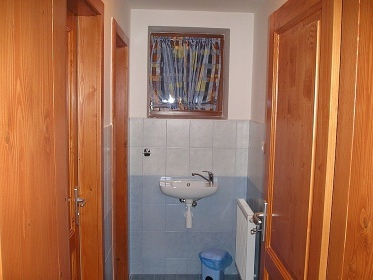 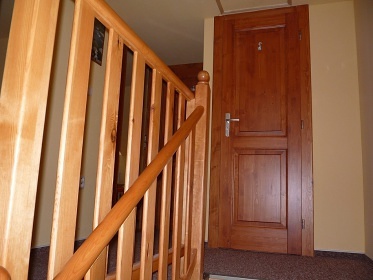 In the hall there is a ski and toilet facilities. 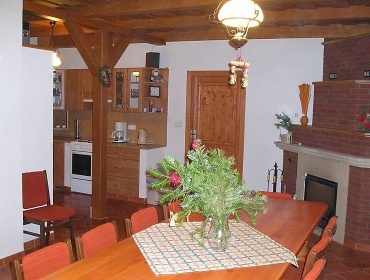 The living room is divided into a kitchen with a dining area and a resting area with a fireplace. 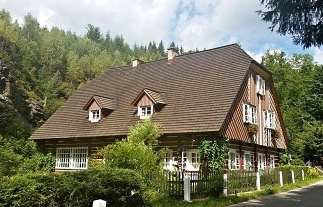 Apartment No. 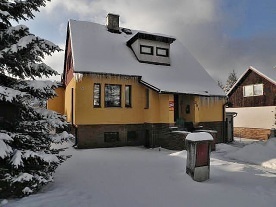 2: An entrance hall with storage closets is in the apartment, next to the hall is a ski storage room with a fridge and a storage compartment. 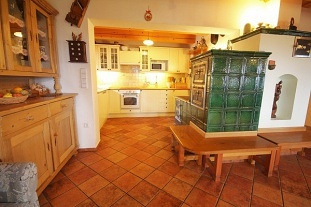 The main room has a kitchen with a large dining room and a fireplace. 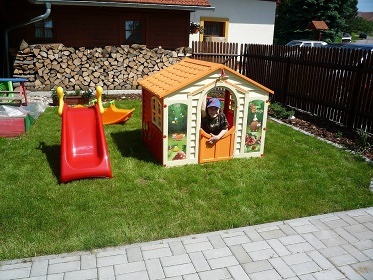 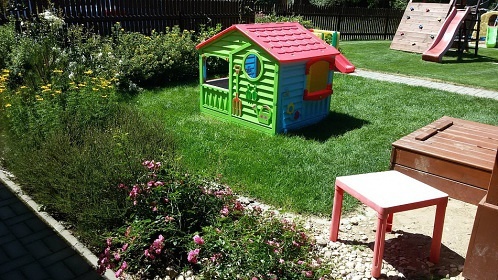 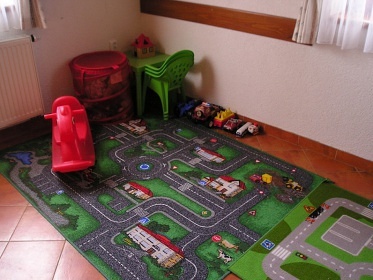 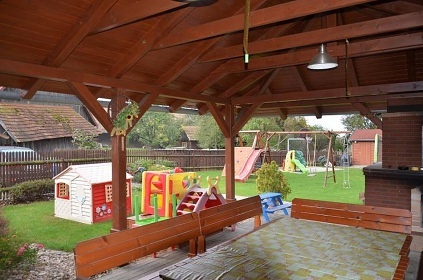 For relaxation there is a common room, where there is also a children's play area. 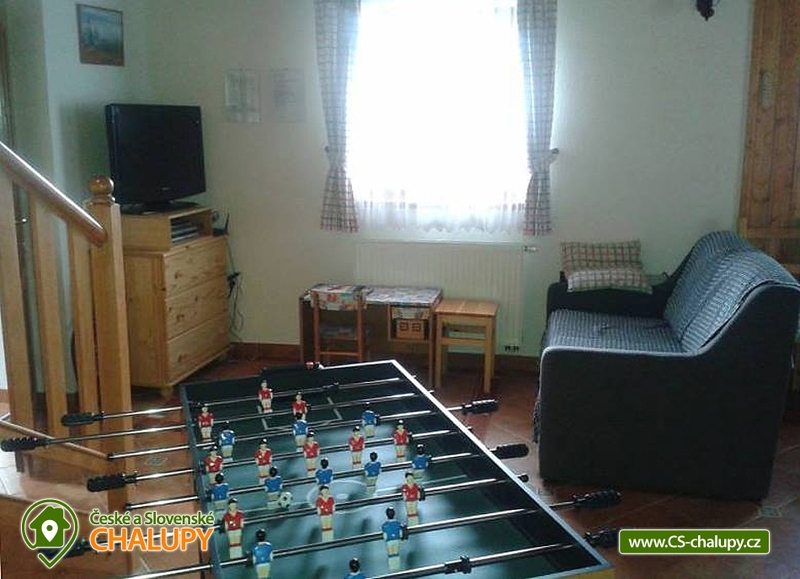 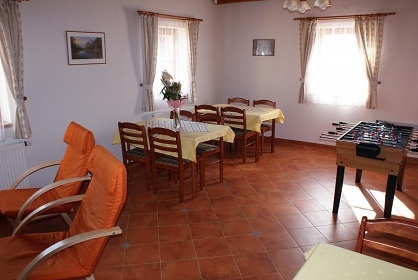 Both apartments have table games with table football, hockey, billiards. 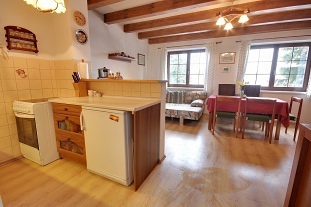 The kitchens in both apartments are fully equipped, including el. 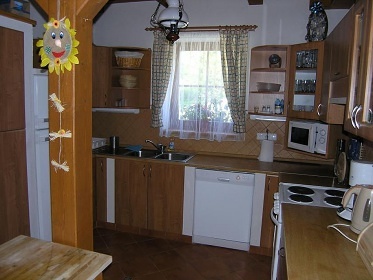 appliances, stove, dishwashers, refrigerators, microwaves, electric kettles, electric grills, toasters and toasters. 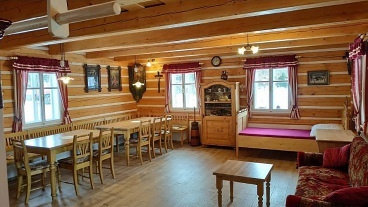 The entire building has an Internet connection. 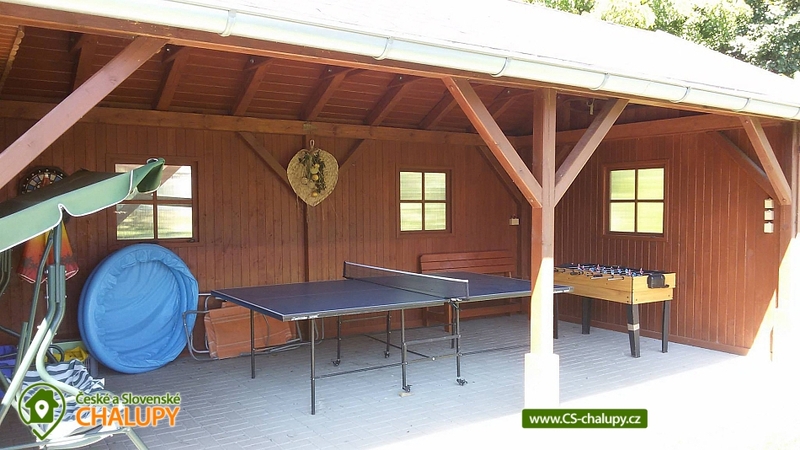 Additional information Cena za prodloužený víkend - 3 noci: celý objekt 9.500,- Kč. 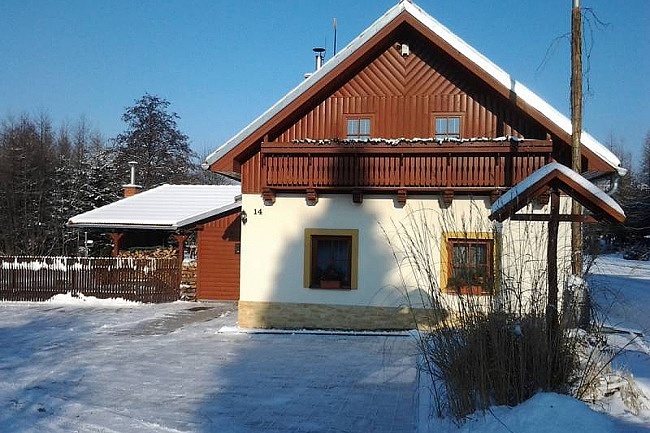 Ceny zahrnují povlečení na lůžkoviny. 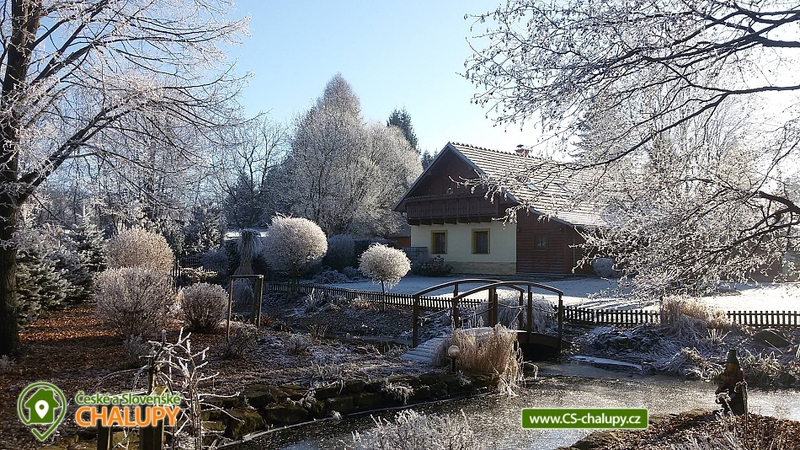 V ceně není započítán závěrečný úklid a svlečení ložního prádla (zajišťují klienti) - objekt musí být předán v původním uklizeném stavu. 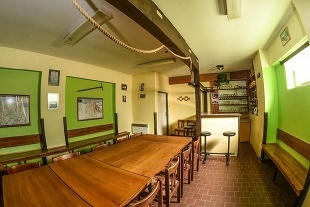 V opačném případě bude z kauce strhnuto 3.000 Kč za úklid. 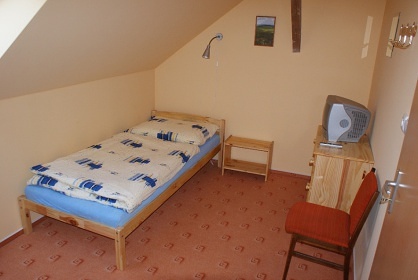 V chalupě je zákaz kouření a zvířat.